A large winter system is moving across the United States and is combining with cold air moving down from Canada, bringing snow to some areas. Major travel impacts are expected along the main highways throughout the eastern U.S. 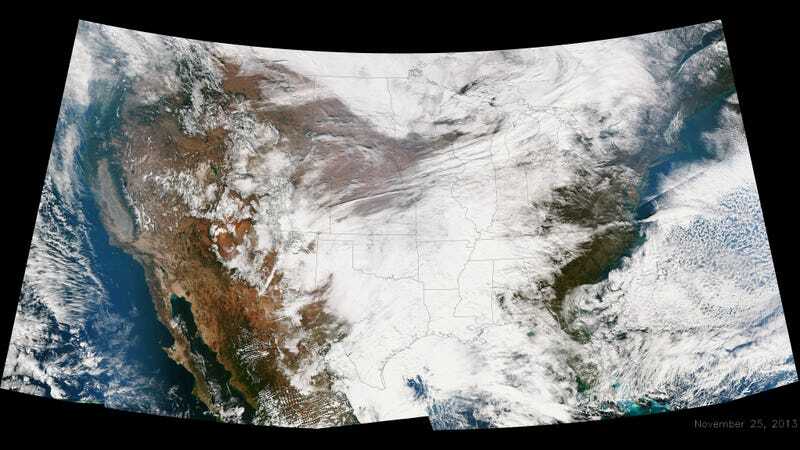 This true color image of the Continental U.S. was taken on November 25, 2013 by the Suomi NPP satellite and shows the system as it moves through the South and Midwest.